Marjolein Baars is an actress, clown, and teacher. 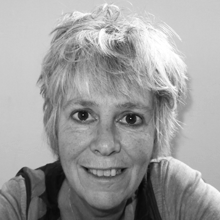 She is the artistic director of tiny hero PRODUCTIONS, Buzzing Red, and De Stichting Koffer in Amsterdam. She teaches Michael Chekhov’s work nationally and internationally, most recently having taught master classes at Exeter University in England and at the Moscow Theatre’s School of Dramatic Art in Russia. She is a founding member of the organization Michael Chekhov Europe, serves on the board of MICHA, and has been producing original work with tiny hero PRODUCTIONS since 1999. Ms. Baars’ studies in art and society have joined her clown and theatre work in the creation of projects for family, caretakers, and artists who work with individuals suffering from Alzheimer’s disease. She is particularly interested in working with questions and obstacles that address creativity, acting, and imagination in the broadest sense.